-Los Descendientes (Jim Burke, Alexander Payne y Jim Taylor). -Extremely Loud & Incredibly Close (Scott Rudin). -The Help (Brunson Green, Chris Columbus y Michael Barnathan). -Hugo (Graham King y Martin Scorsese). -Medianoche en París (Letty Aronson y Stephen Tenenbaum). -Moneyball (Michael De Luca, Rachael Horovitz y Brad Pitt). -Caballo de guerra (Steven Spielberg y Kathleen Kennedy). -Woody Allen (Medianoche en París). - Terrence Malick (El árbol de la vida). -Demián Bichir por A Better Life. -George Clooney por Los Descendientes. -Jean Dujardin por El Artista. -Gary Oldman por Tinker Tailor Soldier Spy (El Topo). -Kenneth Branagh por "My Week with Marilyn"
-Max von Sydow por "Extremely Loud & Incredibly Close"
-Glenn Close por "Albert Nobbs"
-Viola Davis por "The Help"
-Rooney Mara por "La chica con el dragón tatuado"
-Meryl Streep por "The Iron Lady"
-Michelle Williams por "My Week with Marilyn"
-Bérénice Bejo in "The Artist"
-Jessica Chastain in "The Help"
-Janet McTeer in "Albert Nobbs"
-Octavia Spencer in "The Help"
-A Cat in Paris (Alain Gagnol & Jean-Loup Felicioli). -Chico & Rita (Fernando Trueba & Javier Mariscal). -Kung Fu Panda 2 (Jennifer Yuh Nelson). -Gato con Botas (Chris Miller). -Mark Bridges por "El Artista"
-Michael O'Connor por "Jane Eyre"
-"God Is the Bigger Elvis" Rebecca Cammisa y Julie Anderson. -"Incident in New Baghdad" James Spione. -"Saving Face" Daniel Junge y Sharmeen Obaid-Chinoy. "The Tsunami and the Cherry Blossom" Lucy Walker y Kira Carstensen. 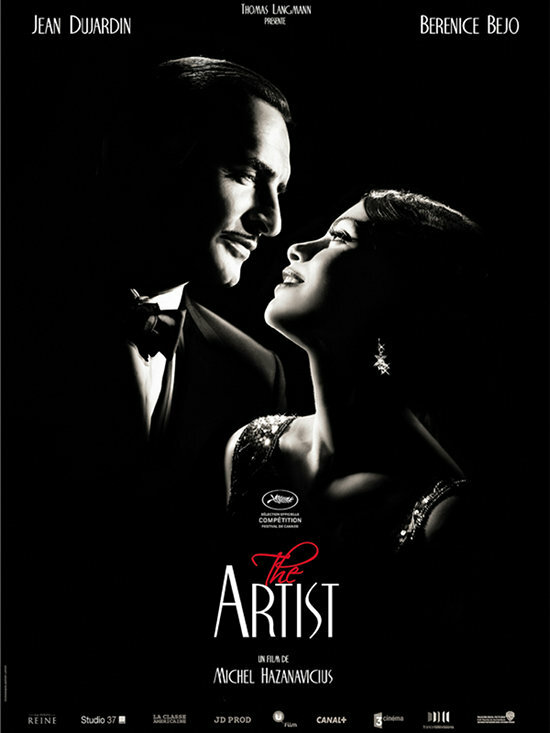 -Anne-Sophie Bion y Michel Hazanavicius (El Artista). -John Williams por "Las aventuras de Tintín"
-Ludovic Bource por "El Artista"
-Alberto Iglesias por "Tinker Tailor Soldier Spy"
-John Williams por "Caballo de guerra"
-Alexander Payne y Nat Faxon & Jim Rash por "Los Descendientes"
-George Clooney, Grant Heslov y Beau Willimon por "The Ides of March"
-Steven Zaillian y Aaron Sorkin. Story by Stan Chervin por "Moneyball". -Bridget O'Connor & Peter Straughan por "Tinker Tailor Soldier Spy". 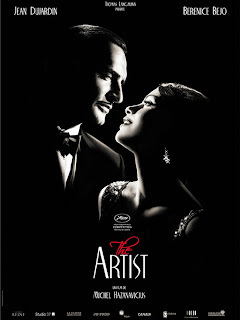 -Michel Hazanavicius por "El Artista". -Annie Mumolo & Kristen Wiig por "Bridesmaids". -J.C. Chandor por "Margin Call"
-Woody Allen por "Medianoche en París"
-Asghar Farhadi por "A Separation". posted by José D'Laura at 11:11 a. m.
Me gusto mucho "Midnight in Paris", me gustaría que triunfara la noche de los Oscar. By David C., at 6:39 p. m.